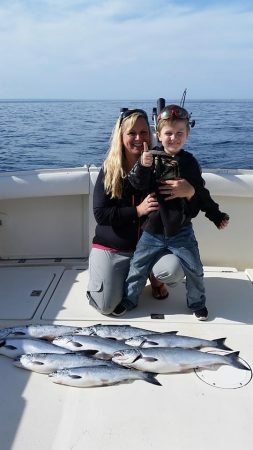 Lake Michigan is one of the hottest spots to fish in the United States, hence the reason people travel from all over to get in on the fishing action she has to offer. 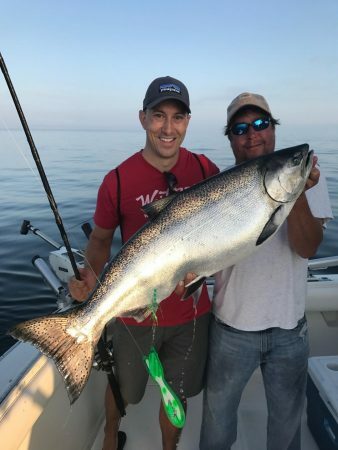 In Lake Michigan there is everything from the famous King Salmon, Steelhead, Coho Salmon, Chinook Salmon, Rainbow Trout, Lake Trout, and Brown Trout! Get your Trip reserved now and come experience what beautiful Lake Michigan has to offer! 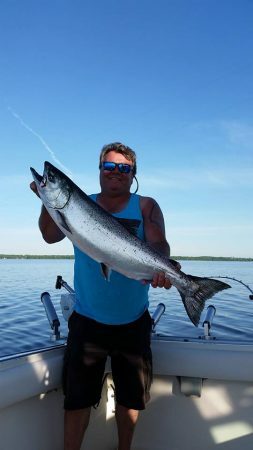 King salmon has been one of the most popular catches for sport fishermen on Lake Michigan. The king Salmon produces quite the fight to keep you busy for hours. The King Salmon is a very proud catch and tasty too! See our recipes page for some tips on King Salmon! Another great catch on Lake Michigan, they put up a great fight, and wow are they are a beautiful fish! The rainbow trout can be caught all season, so get your trip booked now! These fish make for a very delicious meal and can be cooked several different ways. Please see our recipe page for lots of yummy options. 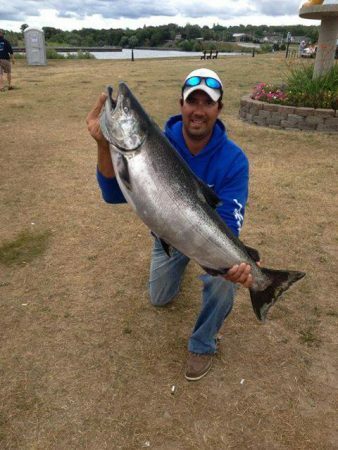 The Famous Coho Salmon in Lake Michigan is a beauty! 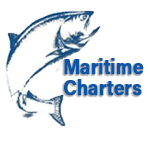 The end of May early June is the prime time to catch these- Get those trips booked now! The Coho is another very delicious fish, very delicate, tender and tasty! Again- please see our recipes page for some tasty tips. The Lake trout is one of the most popular fish in Lake Michigan, mostly because of its numbers. These fish put up a great fight and can get pretty big! 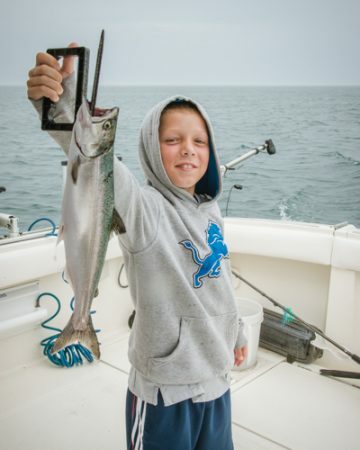 Come test out the waters of lake Michigan and get feel for all the different types of fish and what you prefer to catch!